manufacturing uses. In 1984, the Molycorp Minerals, Inc. mine in Mountain Pass, CA, supplied 100 percent of U.S.
Review of Production, Processing, Recycling, and Associated Environmental Issues). to bankruptcy leaving China as the dominant supplier. superalloy rods or master alloys and hydrogen storage alloys. Eutectix supports H.R. 1407 to incentivize the U.S. military to obtain rare earth materials made in America. Eutectix operates factories in Arizona and Michigan that manufacture rare earth materials critical to military and industrial manufacturing. Eutectix acquired these facilities after market factors drove both predecessor companies to bankruptcy leaving China as the dominant supplier. Eutectix has retained our capability for making these products, but has lost a substantial amount of our magnet alloy powder and rare earth conversion businesses. Eutectix currently makes many other high purity alloy products, such as superalloy rods or master alloys and hydrogen storage alloys. Eutectix acquired facilities in Troy, Michigan from the Canadian junior mining concern, Great Western Minerals Group, Ltd in May, 2014. In April of 2016, we acquired the former MolyCorp Metals and Alloys plant in Tolleson, Arizona. The Tolleson plant had ceased operating in December of 2015 and had been busy processing samarium cobalt (SmCo) magnet alloy powders and iron neodymium boron (FeNdB) magnet powders. Eutectix has production capability to convert rare earth (and scandium) oxides and fluorides to high purity metal in its Tolleson plant. We support the notion that the U.S. must increase its competitiveness in the market for rare earth elements and advanced materials. Eutectix recently celebrated 20 years no time lost accidents at its Tolleson Arizona manufacturing facilities. Its facilities in Tolleson Arizona were first established in 1966 by Nuclear Corporation of America. 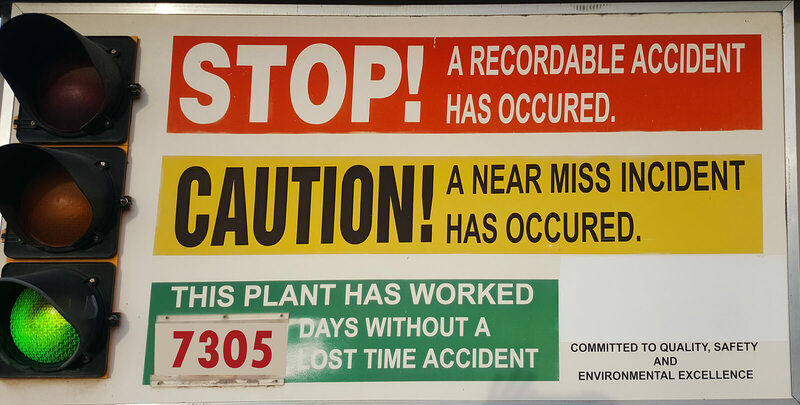 This plant has operated 20 years without a time lost accident. Our most important priority is the well-being of the dedicated and talented people that work together at Eutectix. They bring life to our company and prosperity to our community. We have a responsibility to make the most of the opportunity for our colleagues and ourselves. Focus on safety, quality, continuous improvement, and staff development make Eutectix a trusted supplier and an excellent place to work. Eutectix, LLC manufactures superalloys, and custom rare earth metals and alloys using vacuum induction melting. It supplies high purity ingots and powder for advanced applications in hydrogen storage, magnets, batteries, and additive manufacturing. Eutectix operates production facilities in Tolleson Arizona and Troy Michigan. Join your colleagues at the TMS 2017 meeting in San Diego to learn about Eutectix metal alloys, rare earth metals and magnetic materials. TMS2017 will present more than 65 symposia planned by all five TMS technical divisions and covering a broad range of topics related to minerals, metals, and materials science and engineering. The technical symposium topics cover additive manufacturing, energy materials, biomaterials and much more. Workshops, courses and tutorials for professional development start the day before the technical sessions. Let’s see what we can do together! Drop by booth 1008 to meet Dr. John de Neufville. Visitors will have a special opportunity to guess the composition of one of our alloys and win a prize. Phases, liquidus, solidus, composition, concentration, tie lines; refresh your understanding of phase diagrams with this Texas A&M video by Shamberger. Did you read, Aluminum Association “Aluminum Statistical Review“? It includes information on every cycle of the aluminum production process; from primary aluminum, to markets for finished goods, to the recovery of aluminum scrap. The Review is divided into five major sections: supply, shipments, markets, foreign trade, and world statistics. Its easy-to-read design includes text, tables and charts providing a valuable reference tool for members of the industry, financial analysts, government agencies, students, and the general public. MIT News reports, “An advanced manufacturing approach for lithium-ion batteries, developed by researchers at MIT and at a spinoff company called 24M, promises to significantly slash the cost of the most widely used type of rechargeable batteries while also improving their performance and making them easier to recycle. Are You Following Hydrogen Storage Materials Research? The article summarizes the advantages and disadvantages of altering the thermodynamics of Mg/MgH2 by alloying, nanostructuring, and changing the reaction pathway. Two classes of the alloys were studied: AB2 type with atomic composition of (Ti0.5Zr0.5) (V0.68Mn0.68Cr0.34Ni0.7) and AB5 type with atomic composition of (Ce0.63La0.37)(Ni3.55Al0.3Mn0.4 Co0.75). M. Staszewski, A. Sierczyńska, M. Kamińska, M. Osadnik, M. Czepelak, P. Swoboda, Hydrogen storage alloys prepared by high-energy milling, Journal of Achievements in Materials and Manufacturing Engineering 44/2 (2011) 154-160. Planning to attend this year’s Materials Research Society Spring Meeting? See Eutectix at Booth 511 and let’s see what we can do together! Drop by the booth to meet Dr. John de Neufville. Visitors will have a special opportunity to guess the composition of one of our alloys and win a prize. We look forward to seeing you there.